Kati means ‘coconut milk’ in Thai. 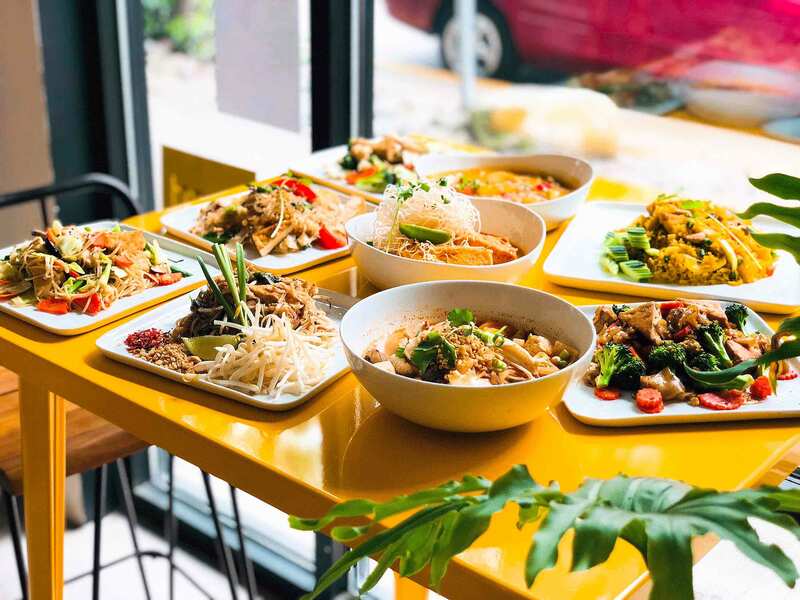 We emphasize natural flavors by staying true to traditional cooking techniques and using only fresh ingredients, essential Thai herbs, and spices. Enjoy new and familiar recipes you won’t find anywhere else! Air-cured young jackfruit, marinated and fried until crisp. Best enjoyed with your favorite IPA! 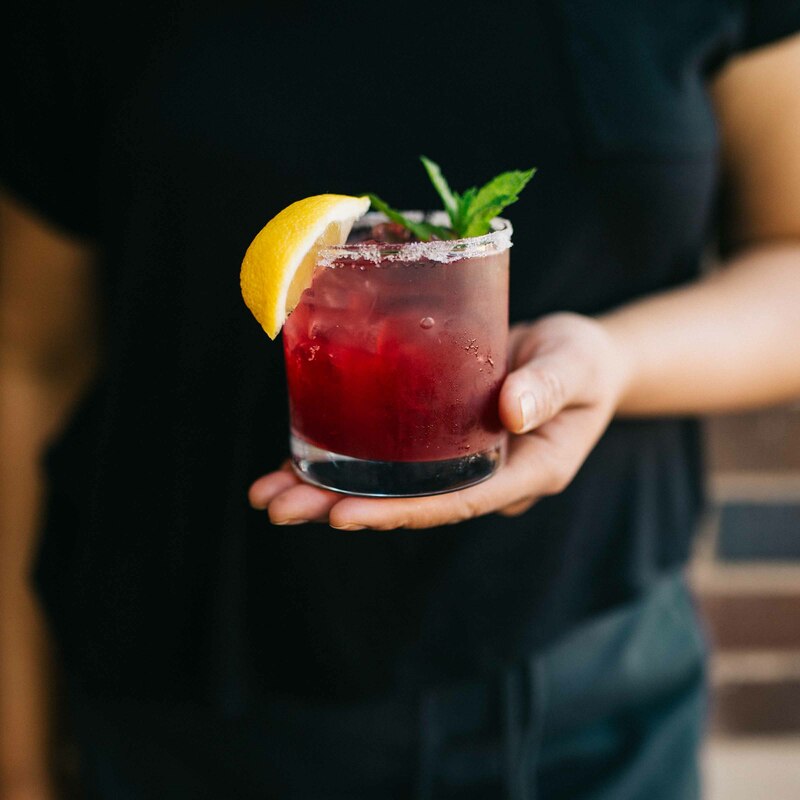 Fresh pomegranate with vodka and a sparkle of lemon and soda. 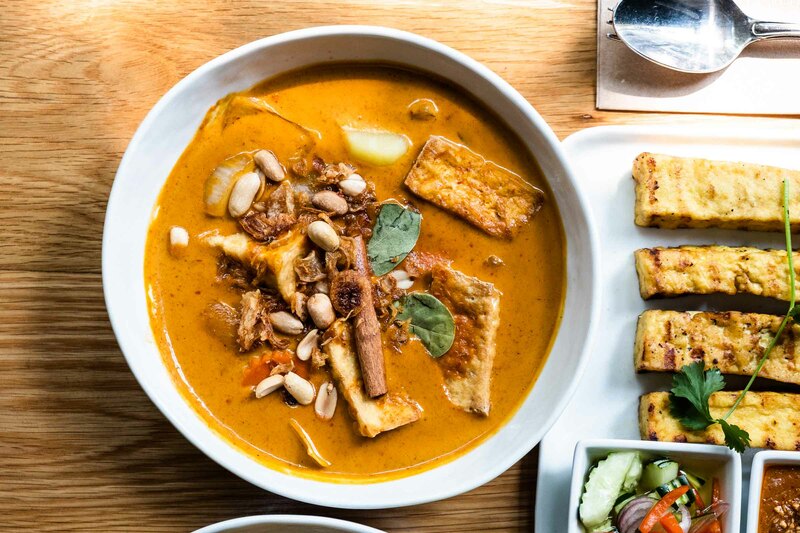 Potato cubes, tofu and sliced carrots in a flavorful herbal curry of coconut milk, bay leaves, cardamom, cinnamon, cloves, and mace. Topped with peanuts and caramelized shallots. Have you tried Angel Wings? 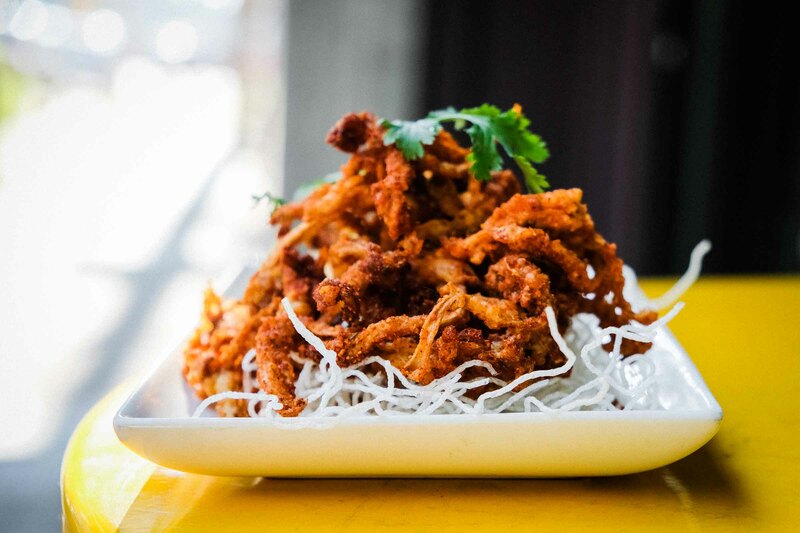 This is its dark side: crispy fried oyster mushrooms dusted with Kati’s own hot & spicy seasoning. 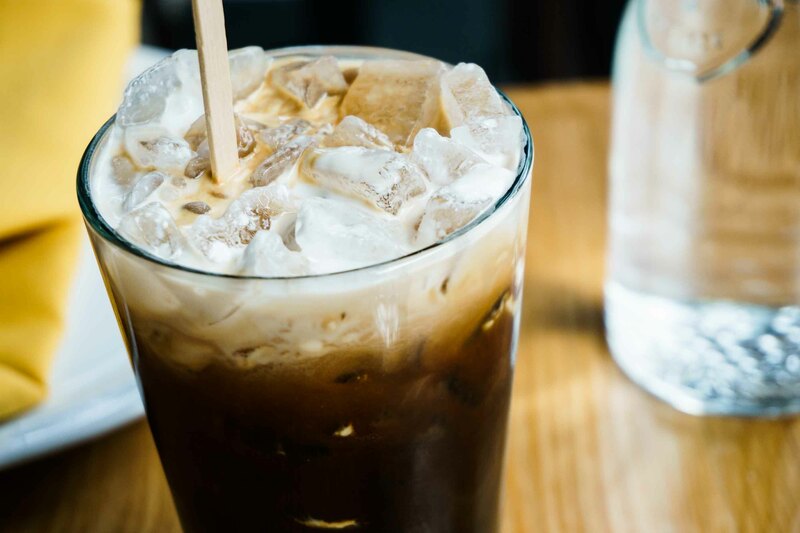 Thai Iced Coffee gets its signature flavor from a blend of coffee beans roasted with corn, soy beans, and sesame. 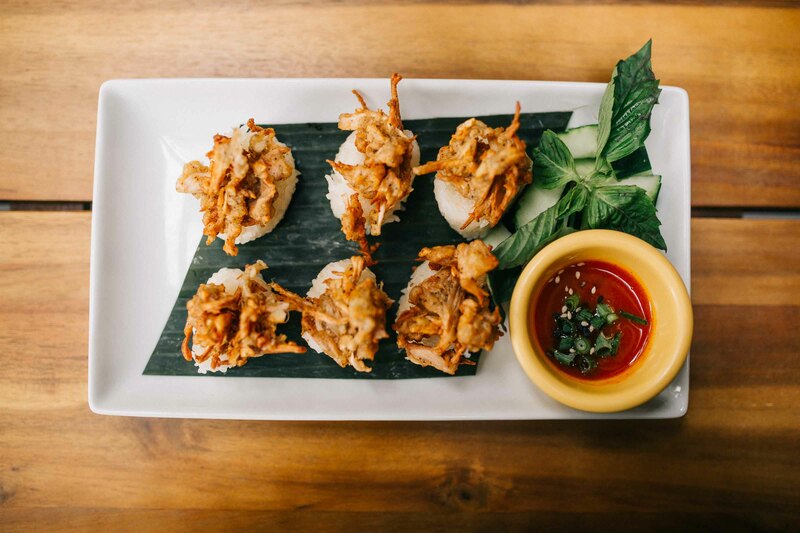 At Kati Vegan Thai, we add a little bit of brown sugar, and top it off with a rich shot of coconut cream. Served black, it is known locally as 'Oliang'. Bangkokians call the milk-on-top variation 'Yok raw' (lifted front wheel), from the way vendors maneuver their beverage carts around crowded streets. In Thailand, the satay vendor guards its sauce recipe with absolute secrecy. 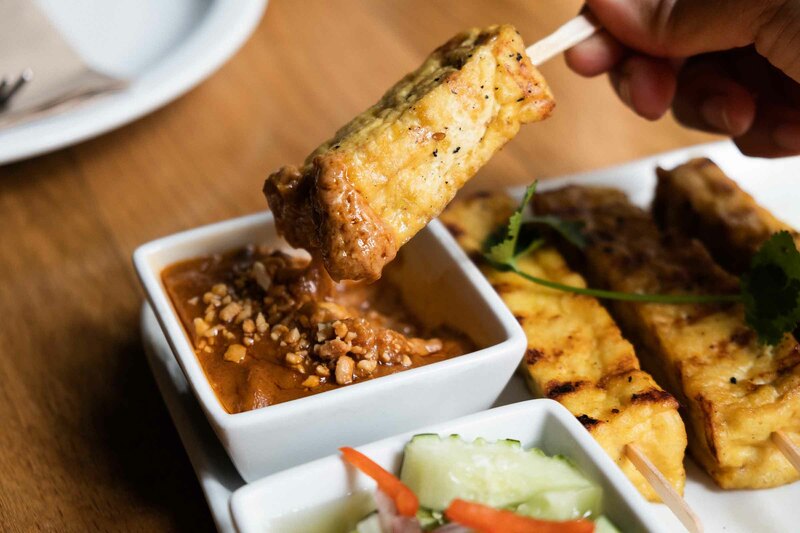 Kati takes its inspiration from a satay shop in the town of Sriracha—a beach town in the eastern seaboard province of Chonburi—regarded by us as the best peanut sauce in the world. 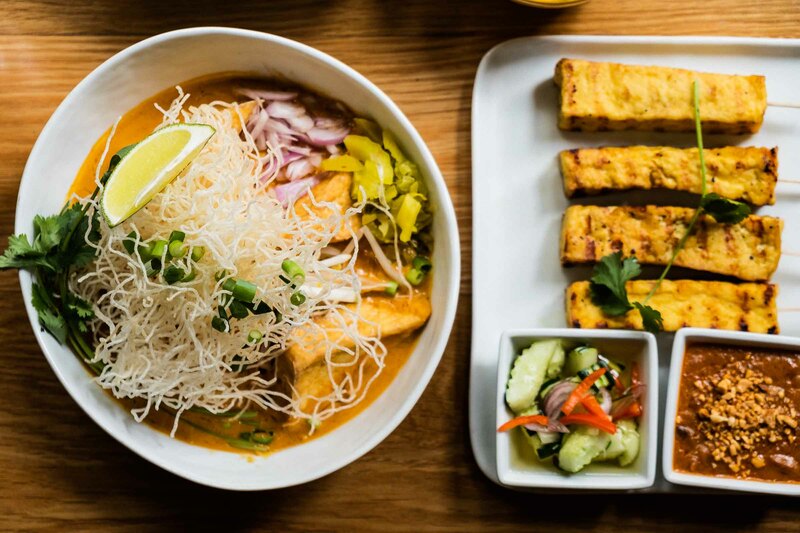 A northern Thai favorite, this noodle dish sets itself apart from Southern curries with bright flavors of lime, pickled cabbage, and sliced shallots complementing the spiced coconut milk broth. The quintessential dish of the Isaan region of Thailand. Made with the 'krok' — or mortar-and-pestle — there is simply no substitute for the juicy crunch of raw papaya slivers pounded in a zesty blend of lime, palm sugar, peanuts, and fresh chili peppers. No one has ever craved cauliflower. Until now. 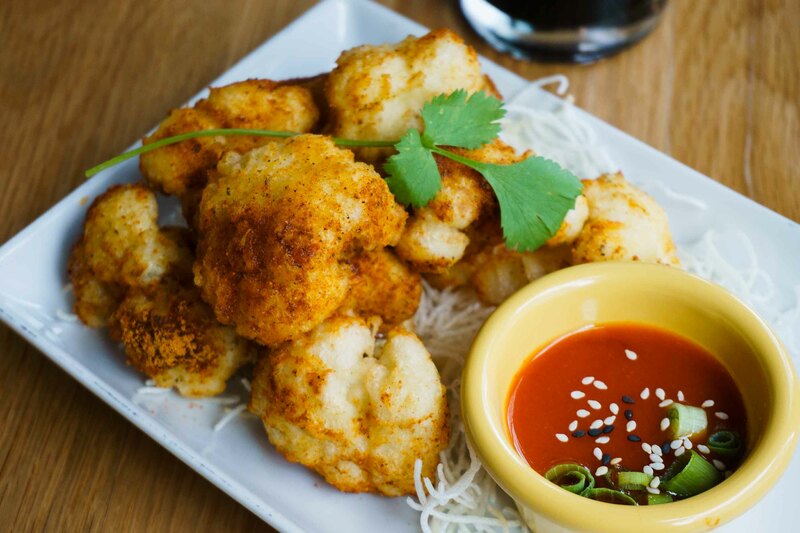 Marinated in a piquant seasoning and served with hot sauce, these little nuggets will blow your mind! 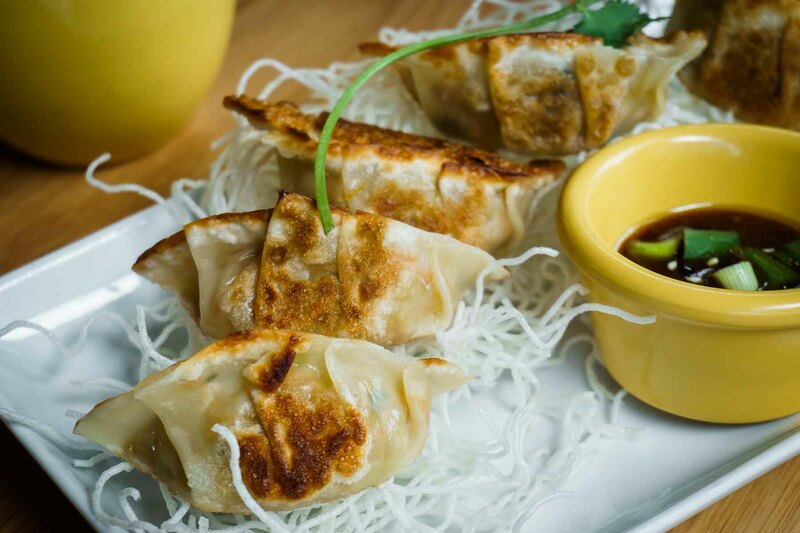 Our pot stickers are made entirely by hand, then pan-fried until crisp. 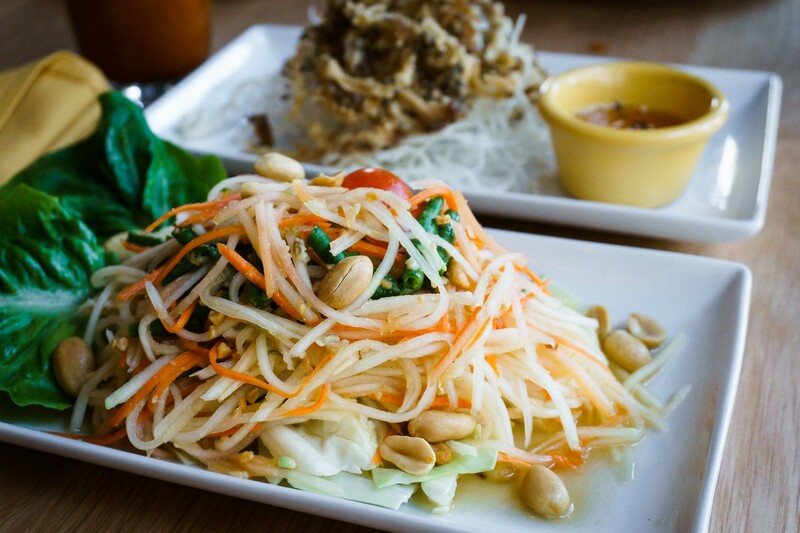 Our selection of curry, noodles, rice and desserts vary from day to day. There is always something new to try! Have Kati deliver directly to your home. Order online and pick up @ Kati. Add Vegan options to your lunch or dinner event.